Say hello to one of the most exciting beauty launches of the year. Due for release on the 28th June, you'll have probably seen this product doing the rounds on a few blogs already, as well as hopefully seeing a glimpse of it in my event post here. After a fair few weeks of using this bad boy on a daily basis, I'm coming at you with a full review, to let you know exactly how I feel about what is tipped to be the easiest and most revolutionary eyeliner yet. 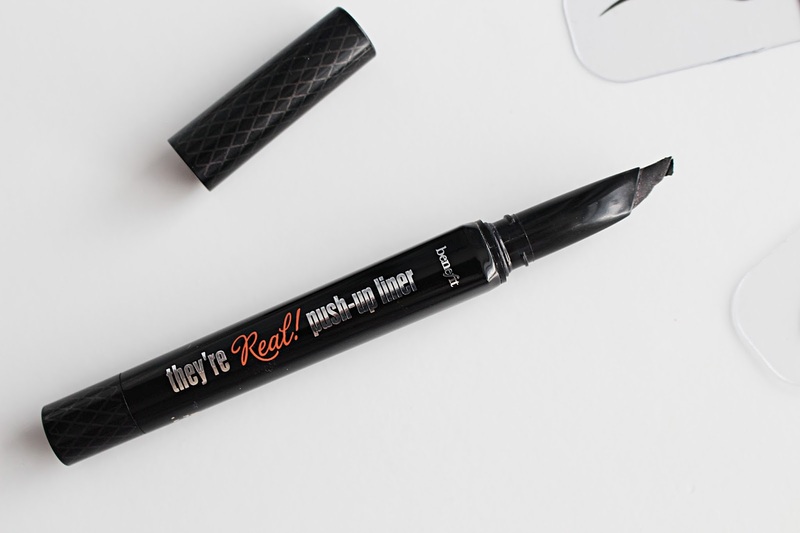 To give you a bit of background, Benefit's They're Real Push-Up Liner is the first ever gel-liner seen in a pen-form. Thinking about it, combining these two aspects of liner together makes perfect sense - the ease of a pen and the staying power of gel? What is not to love?! As well as this dreamy combination, it also has a unique 'Accuflex Tip', which is perfectly angled for the eye and makes for maximum control when applying your liner. It also has a lash guard which pushes your lashes aside so that the liner can get as close to the lashline as possible. So, whilst all these aspects look fab on paper, do they equate to a fab little product? In short - yes, yes, YES. This liner is a total dream come true. As you've probably realised, I'm an eyeliner addict and there isn't a day that goes by where I don't apply a flick of eyeliner on both eyes, meaning I was so excited when I heard about this launch. I've tried a lot of liners in the past, and this is by far the best I've ever come across. I've always loved gel liners but hated the faff of having to use a brush and the fact they dry out so quickly, whilst I've always favoured the pen-style liners when it comes to ease of use. Benefit have totally come up trumps with this product as it does everything you want from a liner and more. 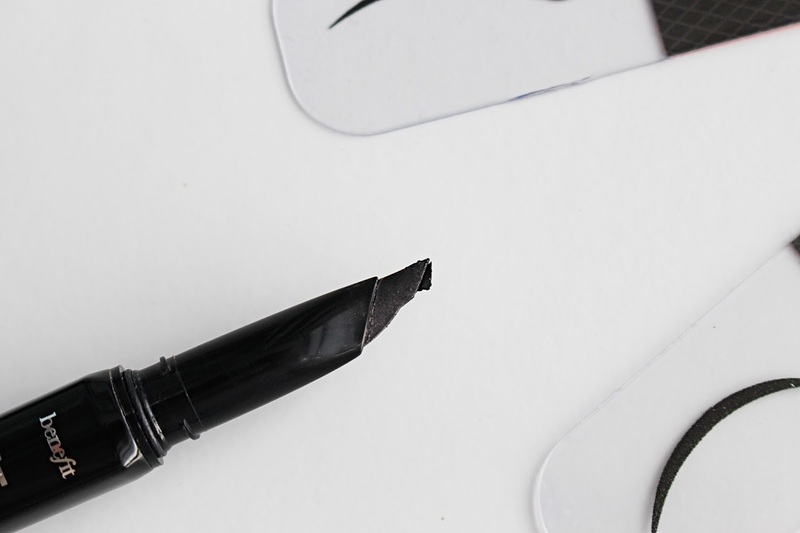 The pen makes it super easy to apply, even for those of us who aren't that experienced with liner application, and the gel formula means that it is a gorgeously matte, uber black shade that lasts all day. It doesn't smudge or wear off as the day goes by - in fact its staying power is so good that Benefit have even released a remover especially for getting this bad boy off (which I should hopefully be blogging about soon). Overall I am completely in love with this liner and it has definitely become my Holy Grail eyeliner product. I was initially worried that the pen wouldn't last me that long, but I've been using it on a daily basis for a month or so now and it's still going strong. The only slight gripe that I have with it is that sometimes the twisty-mechanism takes a while to catch up, so when I go to apply it there might be a chunk of liner on the end (if that makes sense), which is slightly annoying but not enough to put me off the product - it's just too good. 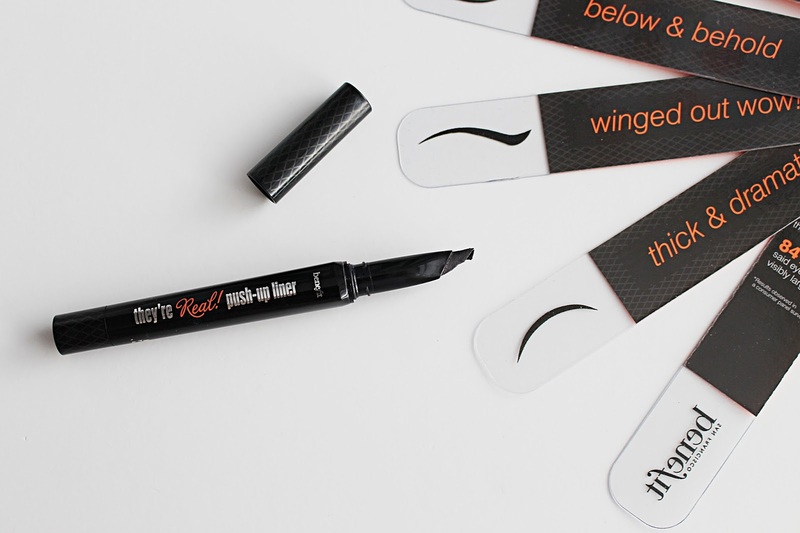 Are you excited about Benefit's new liner launch?